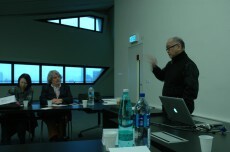 Opening of the discussion about the development of an advanced transcultural and cross-disciplinary education format in the framework of a future ZHdK Study Centre in Hong Kong. 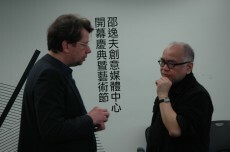 Based on its experience of Common Stage, ZHdK will initiate a process with existing partners, other art institutions, artists, and theorists to discuss a long-term perspective for developing a postgraduate educational format (MA level) in the field of transcultural and cross-disciplinary TransArt (Studies) in Hong Kong. “Forum I” will serve as a starting point for establishing a common basis and for exchanging ideas about setting up a collaborative educational format in the period 2014-2016. To start this project as a transcultural collaboration, we are convinced that it is important to address, analyze, and discuss some fundamental questions concerning the topics “cultural references”, “transculturality”, “cross-disciplinarity”, and “tradition/identity”. Thereby it is crucial to connect theoretical analysis and scientific reflection with personal experiences and institutional conditions. Below we outline briefly the four focal topics of the first two days of “Forum I” and ask to which extent this might be productive for the development of advanced art education in the 21st century. Artists, teachers, and theorists – we all are oriented towards a field of references. This framework is obviously culturally and historically shaped. That does not mean that it is homogenous and compliant. As a start it could be important and interesting for our meeting and collaboration to reflect, outline, and discuss these different fields of orientation within which we construct and experience our present. Which cultural and artistic fields are important, which representatives, which kind of philosophical horizon, which culture of critique, which conceptions of a future are we dealing with? In the present age, we are characterized by tradition(s). We wonder how we happened to become what we are. Is the “past” of fundamental importance – and if so, how and why? What do we mean when we say “tradition”: Is it a master narrative or a personal invention? Is it possible to bring tradition up to date – or should we annihilate and forget it? Such a perspective also raises the question of “innovation” in art and culture, that is, the question of what is “new”, of what constitutes “progress”, etc. The economy goes global, and political systems are intertwined worldwide: goods, information, signs, and humans are on the way to (apparent) boundlessness. Trans- and multiculturalism seem to be the order of the day. But what does this “categorical imperative” mean exactly? Are our local or regional orientations obsolete? Are we now always on the road, “in-between”, schizoid and manifold in our identities? How can we gain the skills and the know-how to engage in different cultures, so as to appreciate and to relate to them? The development of the arts and sciences (since the 16th and 19th centuries, at least in the West) is distinguished by differentiation and specialization. For about twenty years, however, we can observe a growing focus on “trans-“, “mixed-“, and “cross-“ as countertendencies to any monolithic conceptions of the arts and design. Art practice and education , and their corresponding theories, pursue different strategies and forms of interactions, decussations, and interdependencies. Based on our exchange of experiences, ideas, and awareness during the first two days, Day 3 will focus on possible concepts for a long-term educational program that we want to establish as a collaboration. How can we develop the “Common Stage” project and how might this program be integrated into the curriculum of a postgraduate course to be test-launched in fall 2015.
b. Planning of “Forum II”: Draft of “Forum II” in fall 2014 considering discussions and conclusions of day 1+2; schedule date and participants, set goals and responsibilities. What would be the attractiveness and added value of our programme? Benefit within existing programmes? 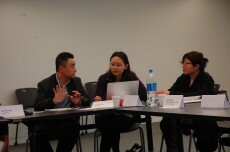 How are we able to offer a programme, which has an added value for ALL partners and students from Europe/Asia? In the perspective of ZHdK the programme needs to focus on subjects that can only be experienced and explored in this very specific transcultural and cross-disciplinary setting. Therefore we suggest to set questions of transculturality, tradition and identity, values, ethic and different forms of life as the central thematic subjects of the programme. On the background of an economical driven globalisation the debate on the “crisis of values” is a primary urgency that is of interest and needs to be discussed between the different cultures and is at the same time a fundamental issue in the arts and design. Hong Kong is predestined as an exemplary location within this thematic context. 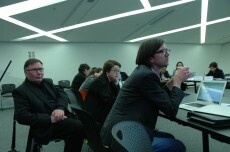 There was also seen a potential towards other thematic focuses of the ZHdK-Study Centre (e.g. urban studies). “Becoming another” was one of the key expressions of the meeting. The programme that ZHdK suggests will allow to explore and experience the own and the other (culture, tradition, discipline,..) on a very practical level and with the focus on artistic collaborations. If “transculturality” (and all it’s associated topics like values, tradition, identity, different forms of life etc.) is the main subject of the programme, “cross-disciplinarity” and “performativity & stage” are the setting to explore these questions, make them visible and bring them into dialogue with an audience. Theoretical inputs will help to reflect and gain further knowledge and cultural management will support the professional realisation of artistic projects in a highly competitive environment. Important is that education is not an abstract curriculum, but should be based and focused on personal experience. The experimental character of the programme emphasises the focus on research and will help to develop further research initiatives. 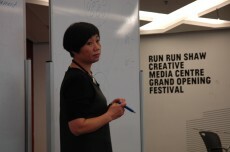 Do we aim for a “classical” form of education with a strong curriculum or are we seeking for an “experimental studio”? Are we defining clear goals or are we working process oriented? Do we design a tightly patterned curriculum or is it case- and project-based and allows cooperation with partners in the cultural field (e.g. internships)? Are our students “customers” or do we involve them in the education and programming? Which roles do the professors play? Mentors, facilitators or also part of the programme (do they become “students” too)? 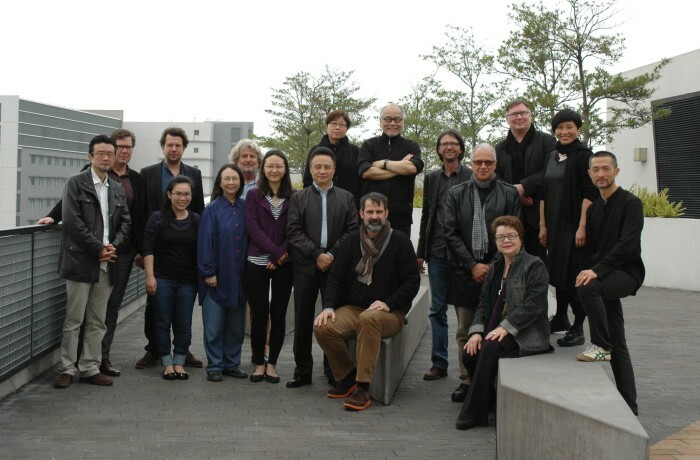 Do we aim for a full MA/MFA-programme or rather a semester programme within existing MFA-programmes? How do we organise accreditation and guarantee credits? How do we organise the connection and integration into the various study programmes and institutions? How do we finance the programme and what is the time schedule? How do we secure the evaluation and further development of the programme? 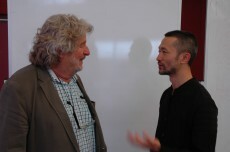 ZHdK has suggested two models for a collaborative education format. Either “Model A” a full MA/MFA-programme or “Model B” a semester programme for MFA-students of all disciplines and partner institutions. We suggest aiming for “Model B” as a first step. Students of all partner institutions will have the possibility to apply to study one semester within this specific programme. Ideally their master thesis/project deals with questions of transculturality and artistic collaboration. Like this we are able to offer a unique and advanced programme that follows a different concept compared to a usual exchange semester (which normally offers a specialised programme in one discipline without thematising transcultural aspects). 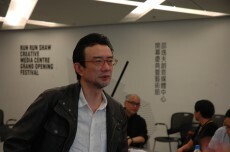 The programme would take place in Hong Kong (with and at the different partner institutions) with the option that certain workshops can be accomplished in other parts of Asia or Europe. We will need to discuss and find a solution about the selection and conditions for partner institutions. Therefore we have to define which persons and/or institutions are interested to participate and willing to take responsibilities from Hong Kong, Mainland China and the greater area.